Moore County Sheriff Ronnie Fields warns residents of a current scam circulating around the county. In a Thursday news release, Fields said the sheriff’s office has received a number of complaints of a possible mail scam. Photo courtesy of Moore County Sheriff’s Office. 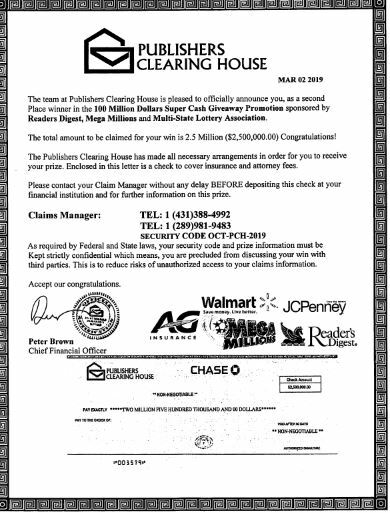 A letter, with a check, is being delivered that appears to come from the Publishers Clearing House, but Fields warns it is a scam. If you have any questions, please call the Moore County Sheriff’s Office at 910-947-2931. Feature photo courtesy of Moore County Law Enforcement Officers Association.